November 1, 2014 - No Comments! There have been some key advancements over these two weeks. The first news is I have been elected as student representative, meaning more invulcration with the course, its professors and fellow students, an activity I've been absolutely loving. Secondly, myself and another student have organised and started conducting a weekly theory text discussion where we build upon our understandings of each weeks readings. Other students have also organised technical sessions where we teach each other Unity3D and Unreal Engine. After a very chaotic and busy week 5, a clear structure is beginning to emerge. Most of week five was overshadowed by a very long yet exciting weekend working at the MCM Expo London Comic Con. I assisted old university friend and creator of Deathbulge, Dan, managing his stall, diffusing his comics online and at the event, accounting work of his sales and general support. In between handing out business cards and jotting down numbers, I played a few tablet and analogue games at the Esdevium and Indie Go Game stalls. One highlight was Dobble, a very entertaining and quick paced card game with various forms of play, ending with myself and a stranger screaming at each other and laughing at the ruckus we were causing. The other game was one who's name escapes me now, which I played while discussing the creation with the programmer. It features a series of hilarious mini games set in the wild west all centered around the core mechanic of spinning the barrel of a gun. With it you can shoot coins, dance, banish bad guys, jump across cliffs, all with the funniest death animations that made the inevitable failure incredibly fun. Comic Con ended with Dan and myself going for a much needed celebratory dinner and pint with Dave and Rob ofCyanide & Happiness. It was Dan and mine's first time working at a convention, let alone one with over 110,000 attendees. The entire experience ran smoothly and it's time to confess, I much prefer witnessing the geeky goodness from the content creator side of the stall, rather than as merely a consumer. Standing at a game booth, beaming enthusiasm and engagement at visitors while analytically observing their play is an activity that feels natural to me and I cannot wait to be doing this with my own content. Back on the course, our weekly game design classes have concentrated on art, from communication to creation. In week 5 we practiced free-hand drawing where we drew objects, our hand and a classmate. There was very little time for detail but enough to practice some techniques. In the 6th week, we practiced world and character building in a team of four. We used a random concept generator to come up with a game idea then moved on to describe and develop it. Our random concept was : "An adventure game where you banish unicorns to warp spacetime." The description we came up with of this world along with the mood board can be found here. 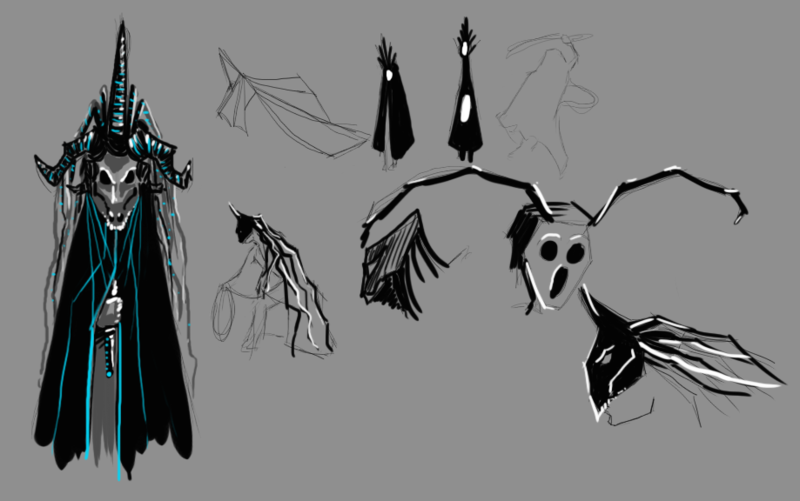 In the last few minutes of the class, using a wacomb tablet and photoshop, I sketched some ideas for the cultist character of this world. We wanted to communicate a tribal cyberpunk cult, a blending that proved challenging. There are quite a few things I would change to the character I had at the end of the class. For example, the side horns, while quite aggressive, feel too goat-like. These cultist are sacrificing unicorns and wearing their skulls therefore the anatomy of it needs to be appropriate. The blue lines in the drawing were added after a brief discussion with our professor on how to communicate cyberpunk. While it's true that lights are the most signifying of cyberpunk, it feels inappropriate to that world. Instead, I would like to try drawing more inspiration from Italian futurism or Lebbeus Woods. My final problem is with the dagger. A good communicator of this high-tech future is in their tools. With more time I would have given it it's own design analysis. 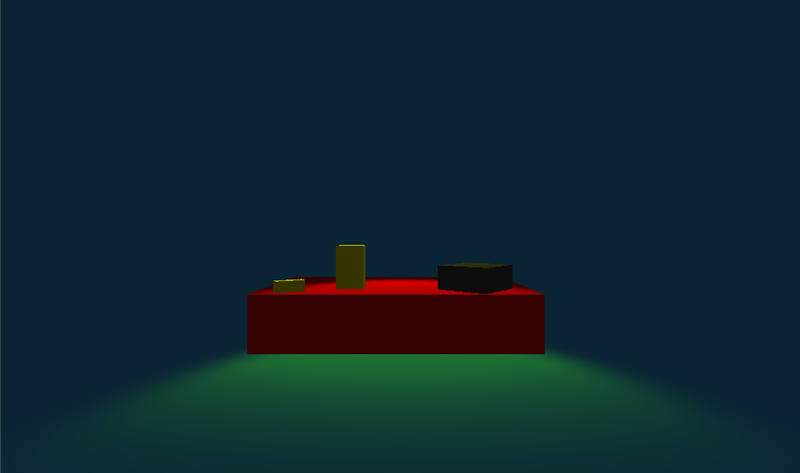 As a side course, a group of us have started teaching each other Unity 3D. 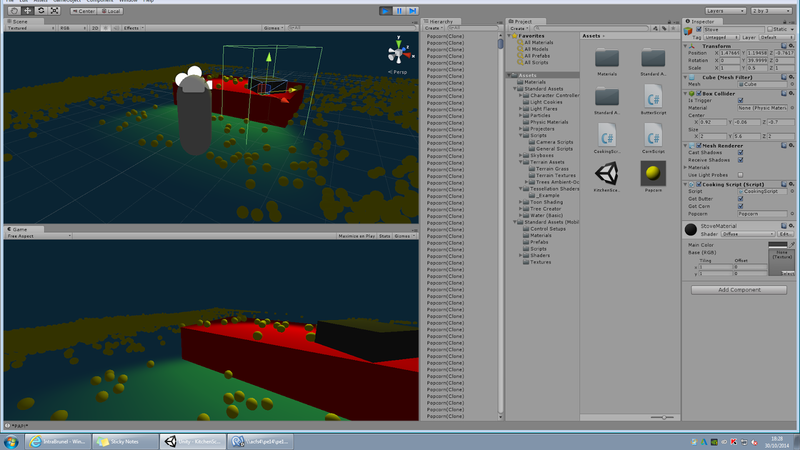 This week, Roman guided us through creating a simple popcorn making environment. While I'm already familiar with the program, it was nice to refresh the memory and pick up more on the programming side of Unity 3D. Roman did an excellent job teaching our group and I am definitely looking forward to more meetups like this one. These two weeks theory topics, film and literature theory, have been especially amazing and relevant to my essay but I shall not be talking about it here. Just know there are hopefully great things lying in the future and project ideas that have bounced out of theory lessons which have gotten me very enthusiastic. Every day I'm engaged in something to do with games. It's fantastic! This course really fits me like a glove.